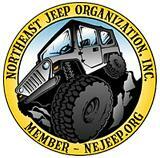 Northeast Jeep is an organization dedicated to the many facets of Jeeps and Offroading use. Our principle interest starts with the Jeep vehicle and this is what drives us to promote and use these vehicles off-road. Our Club is based on the overwhelming interest of using these Jeeps for recreation and association. Our organization is devoted to the promoting of responsible use of all land areas. This responsibility above all else is of protecting our environment and harmoniously working with land owners and state. Through education and experience, we continue to enjoy our sport while always Treading Lightly! Thank you for your interest in NEJeep: NEwhere, NEtime! We look forward to having you join our family. We strive to answer everyone’s QUESTIONS but in the event yours is not answered here, please do not hesitate to let us know.